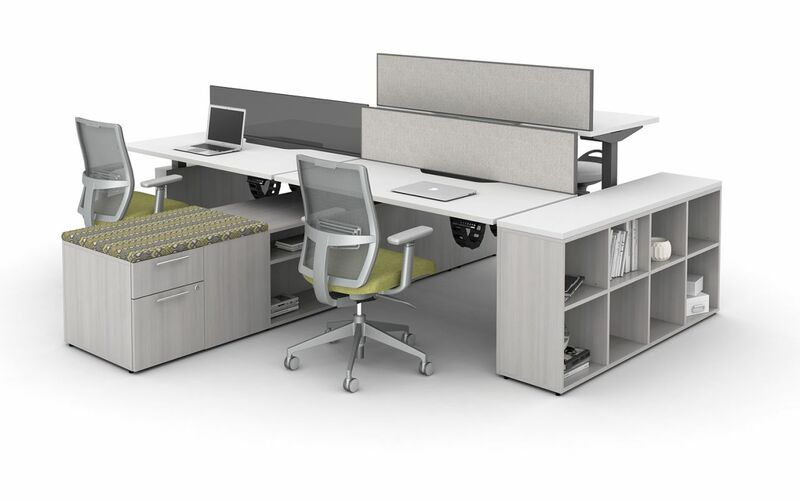 Aloft is height-adjustable benching that’s tailor-made for the open plan. 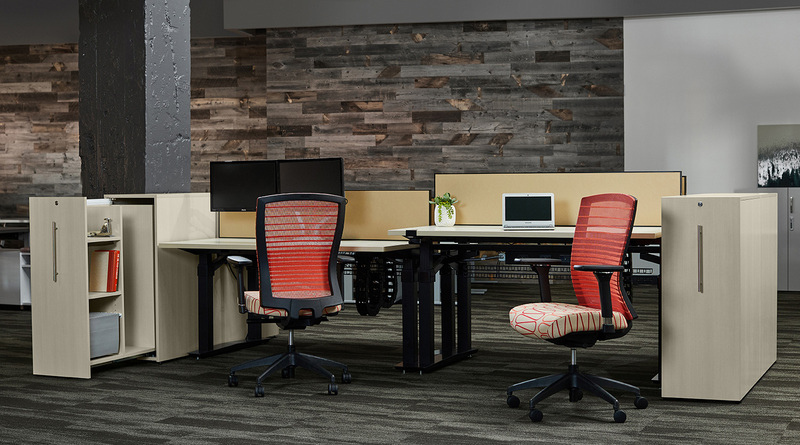 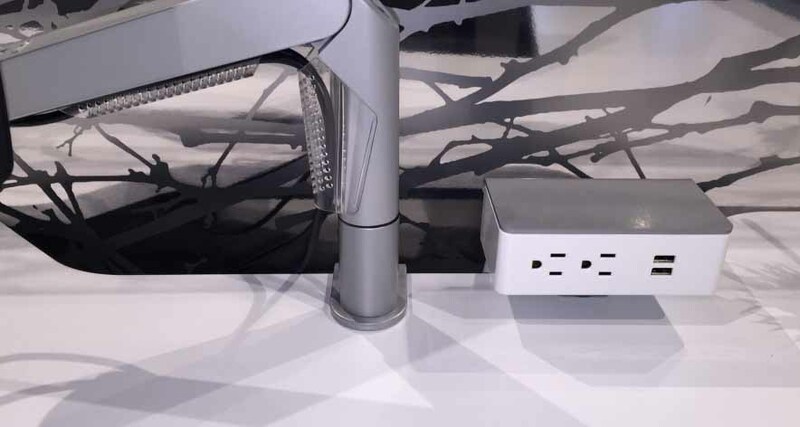 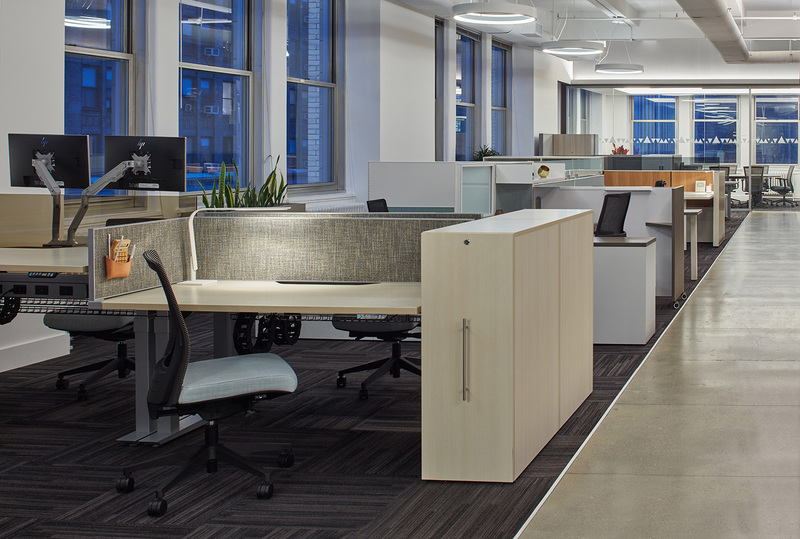 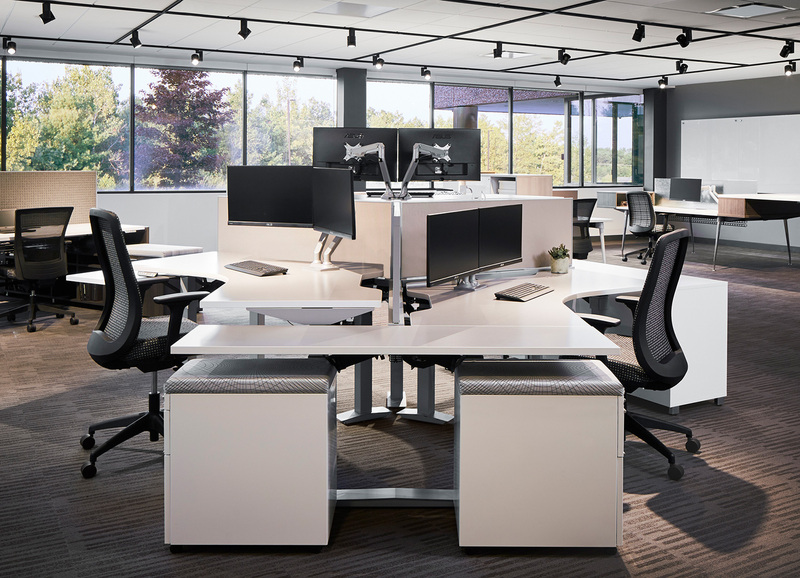 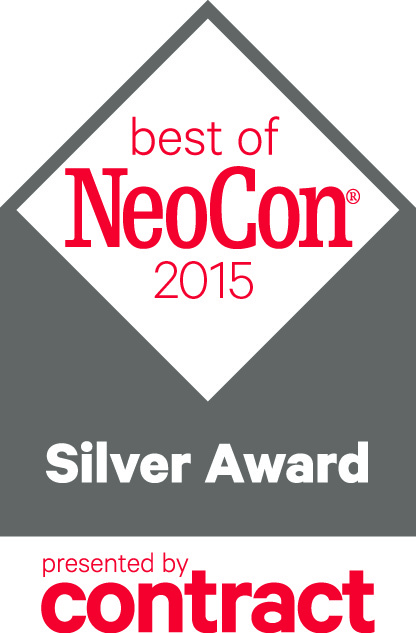 A NeoCon Silver award winner, Aloft combines the features and functionality of a bench system with the ergonomic health benefits of standing workstations. 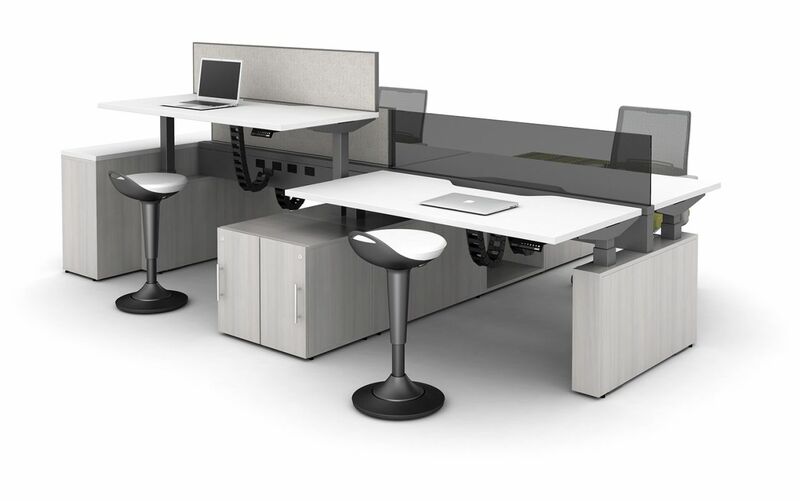 For teams that need dynamic benching, this thoughtfully designed platform rises – and lowers – to the occasion. 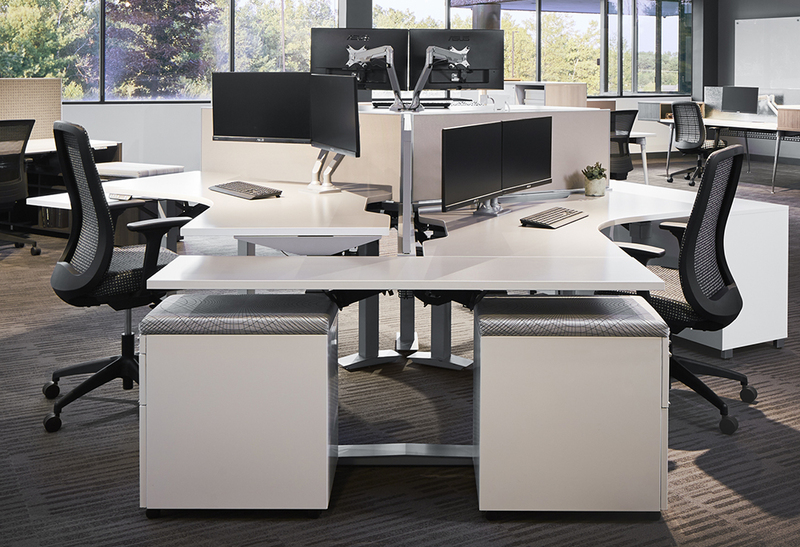 Aloft worksurfaces are offered at fixed height or fluid programmable motorized option and are designed to meet the latest ergonomic standards for maximum health benefit. 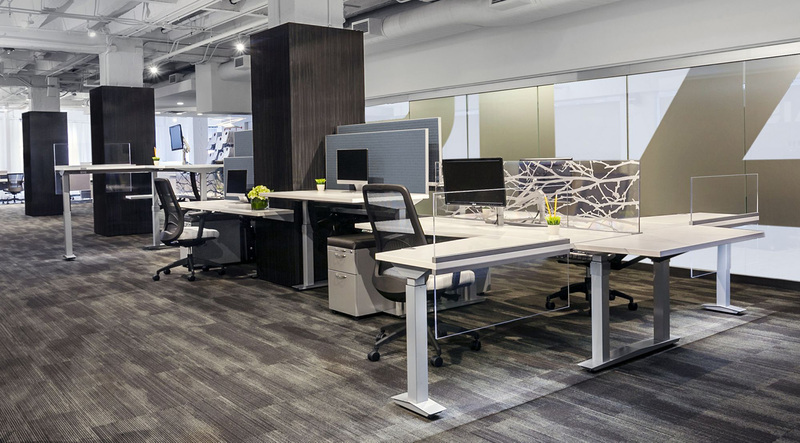 Aloft offers multiple worksurface shapes to meet the needs different workstyles. 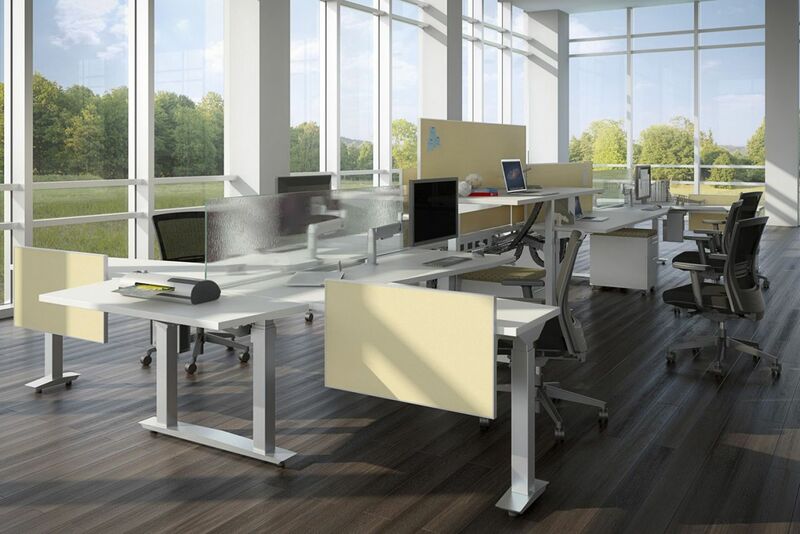 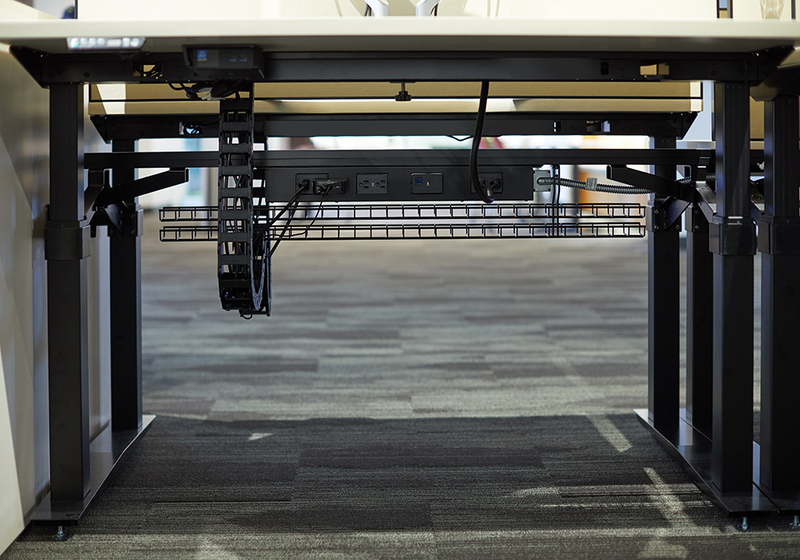 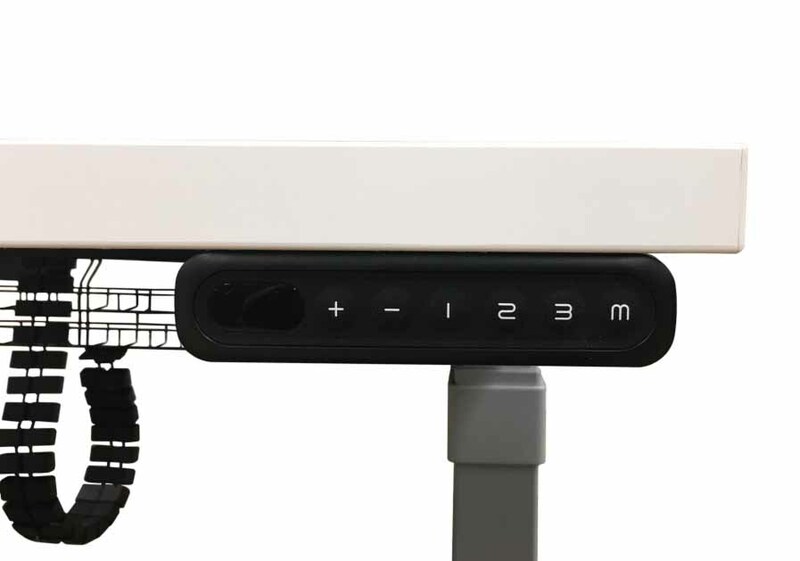 Its height adjustable 120 degree worksurfaces maximize space and provide more room to work. 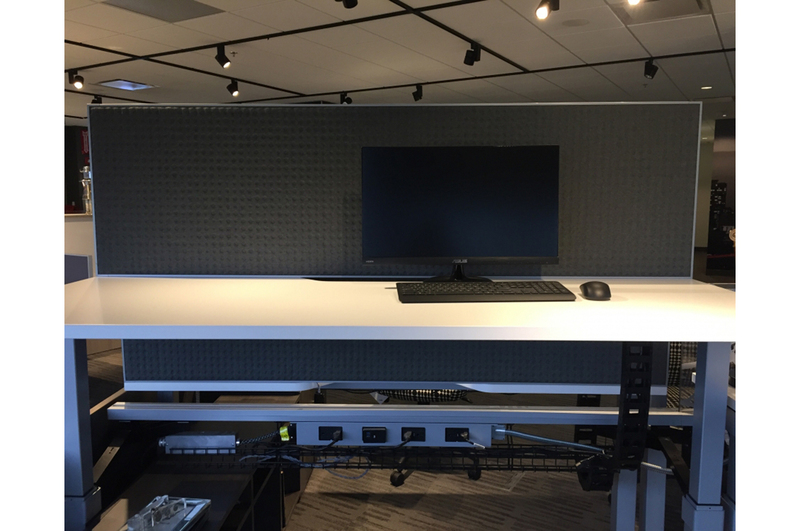 Additionally, privacy can be achieved at any height with screens that are mounted to Aloft's worksurfaces.